Fasten up your seatbelts and hold on to something as parallel actions are making their way to Buddy! The feature many of you have been waiting for is soon to land on Buddy’s production servers. 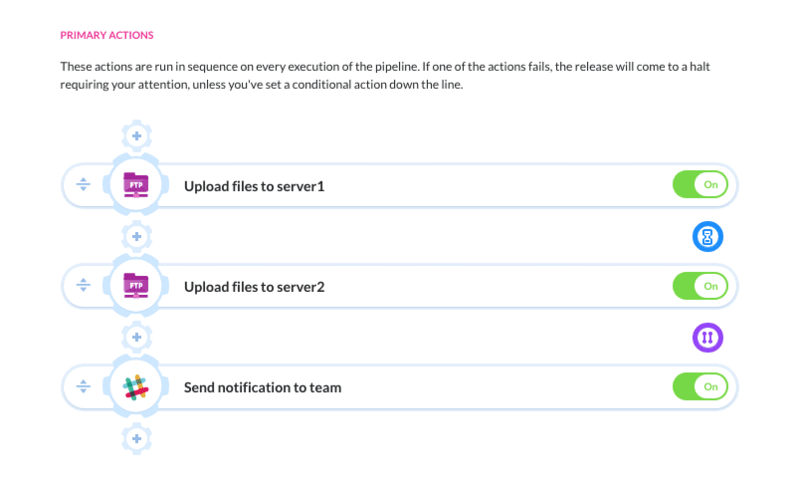 It will allow you to considerably save time on development and operations: for example, by running multiple deployments at once, or split tests in two and run them in parallel. For now, parallel actions are still in the Beta phase. This means they’re turned off by default and need to be activated by our team. The max number of parallel actions in the Beta is 2. If you’re interested in helping us test the feature, please send the URL to your account to support@buddy.works, or send it over the live-chat. Please mind that parallel actions are a resource-heavy feature that are going to be charged for extra. We are yet to announce the updated pricing, so make sure to follow us for updates if you’re interested. We are not going to change your plans after the Beta – once the feature has been officially released, we’ll let you either choose a new plan or deactivate them completely and stay on your current pricing.